Open wheel racing can be a terrifying sport full of near-misses, but there’s a good chance that Indy 500 champion and former Formula One driver Alexander Rossi has never experienced anything quite as terrifying as a potentially terrible crash within the first fifty miles of the Baja 1000. Rossi was piloting the No. 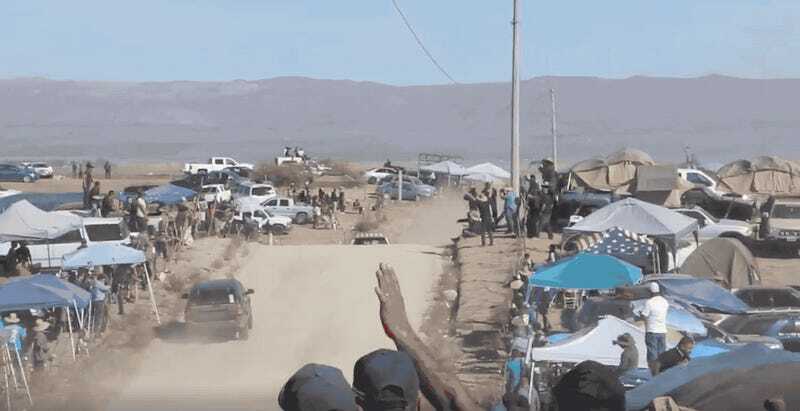 709 Honda Ridgeline Class 7 truck at Ojos Negros, a notably high speed section full of blind jumps a mere 33 miles into the entire race. Despite the fact that racers are sending it at full-speed through here, the road is technically still open to local traffic. Seems like a terrible idea to me, but hey—I’m not the one in charge. One fan in an SUV was making his way down the side of the road when Rossi’s Honda comes flying over the jump. They collided just enough for Rossi to take off the guy’s mirror, but a few inches to the right, and that would have been real bad news for everyone involved. That said, both Rossi and the SUV were fine, with Rossi’s biggest problem being getting stuck in some silt later in the course. 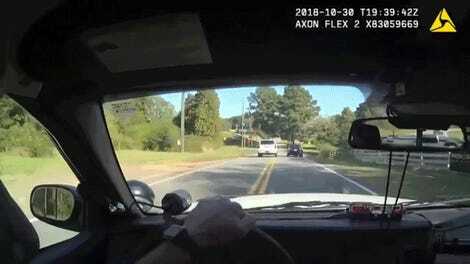 Not ideal, but I’d sure as hell take that over a near-death experience any day.